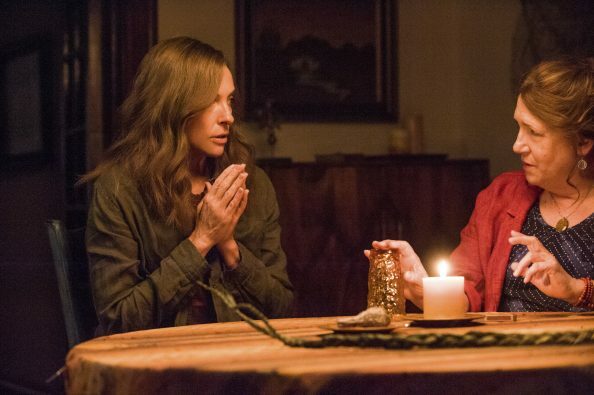 Two of the strongest female performances of the year, so far, have been from Emily Blunt (“A Quiet Place”) and Toni Collette (“Hereditary”). Not only are their performances intense, your attention will be riveted to the screen to see what will happen next. 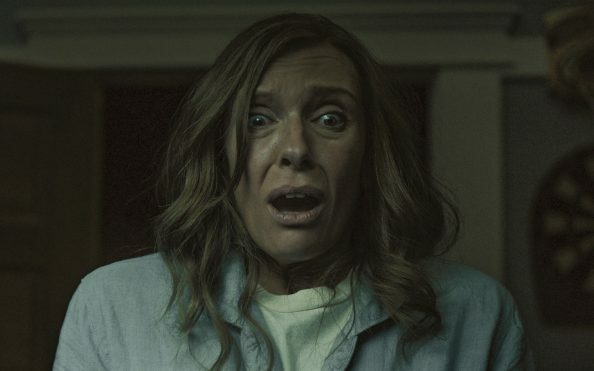 “Hereditary” is just another in Toni Collette’s increasingly impressive body of work; she shows no sign of stopping any time soon. Her performance in “We Need to Talk About Kevin” (2011) and “The Sixth Sense” certainly nailed down her bona fides for these kinds of films a long time ago, but she also appeared in “Little Miss Sunshine” (2002) and “About A Boy” (2006), so we certainly cannot say she is typecast. For me, the film worked until the very end, at which point I wanted the ending to focus on something heroic that Gabriel Byrne must do, probably to Ann Dowd (“The Leftovers”), rather than the fiery and beyond-the-pale denouement we got, but I also wanted John Krasinski to grab a pitchfork in his final scenes, and that didn’t happen either. So far this year, if you want to see powerful female performances, check out the 2 horror films mentioned above (“A Quiet Place” and “Hereditary”) and don’t fail to take in “Tully” and Charlize Theron, either. Funny TRUE story about this film, which premiered at SXSW. I had selected a documentary about a Scottish bicyclist who was the only Scottish cyclist to ever make it into the Tour de France and then was brought down in the Lance Armstrong doping scandal. The cyclist decides to try to make it back onto the Tour de France. I thought that sounded like a film I would never get to see anywhere else, while I was sure that “Hereditary” would play local theaters. As the bicycling documentary wound down, it was time for the director to stand up and handle the Q&A. He was nowhere to be found. The bicyclist, himself, got up from the audience and began handling those duties when the director hustled in, late, and explained that he had taken in “Hereditary” down the hall. He just had to stay to see the end, even though it made him late. True that.